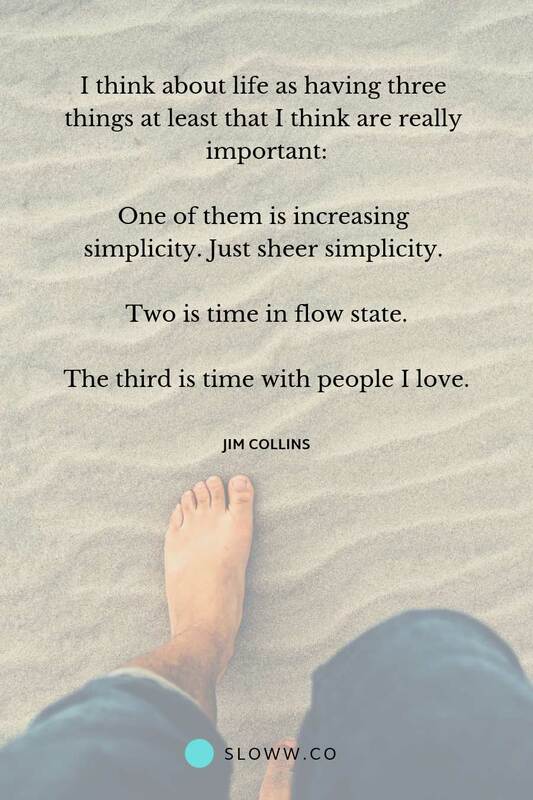 In simple terms, Jim Collins is an author, researcher, teacher, and advisor. In 2017, Forbes selected him as one of the 100 Greatest Living Business Minds. He has written multiple books, including the bestseller Good to Great. In total, his books have sold more than 10 million copies worldwide. He also had Peter Drucker, the father of modern management, as a mentor (note: a Peter Drucker quote is one of the highlights in the post The Modern Art of Living: With Great Choice comes Great Responsibility). The most recent book by Jim Collins is a shorter monograph titled Turning the Flywheel. He originally wrote about the Flywheel Effect in chapter eight of Good to Great, but this monograph expands on the concept. It’s directed at business leaders (for work), but Collins proactively created a personal flywheel (for life) in his podcast interview with Tim Ferriss. In that sense, I think the Flywheel Effect can be used as an effective tool to think about building momentum for your own life purpose. Picture a huge, heavy flywheel—a massive metal disk mounted horizontally on an axle, about 30 feet in diameter, 2 feet thick, and weighing about 5,000 pounds. Now imagine that your task is to get the flywheel rotating on the axle as fast and long as possible. Then, at some point—breakthrough! 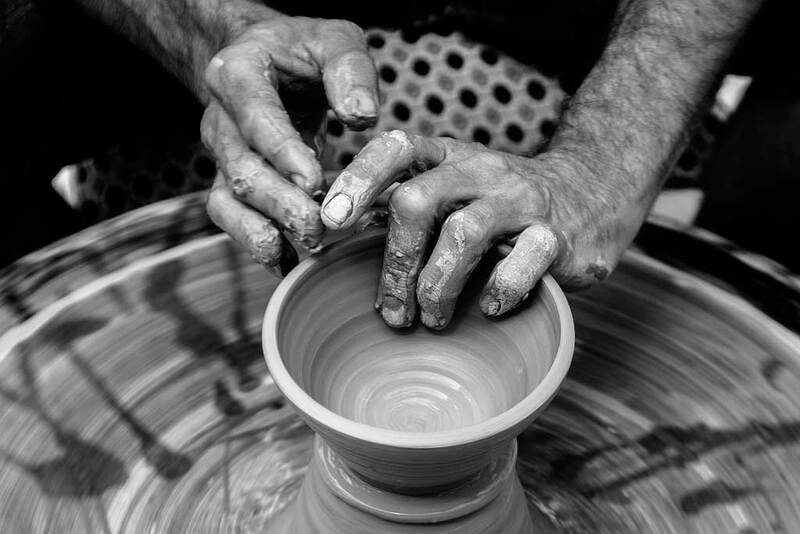 The momentum of the thing kicks in your favor, hurling the flywheel forward, turn after turn … whoosh! … its own heavy weight working for you. You’re pushing no harder than during the first rotation, but the flywheel goes faster and faster. Each turn of the flywheel builds upon work done earlier, compounding your investment of effort. A thousand times faster, then ten thousand, then a hundred thousand. The huge heavy disk flies forward, with almost unstoppable momentum. A series of good decisions, supremely well executed, taken with disciplined thought, that added up one upon another over a very long period of time to produce a great result. 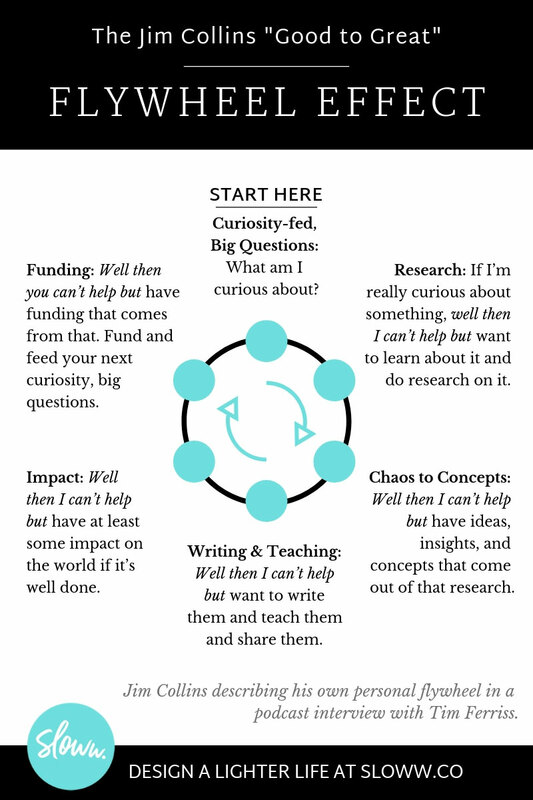 The flywheel seems like an interesting approach to build momentum for your own life purpose. Give it some thought and then share your own flywheel in the comments.